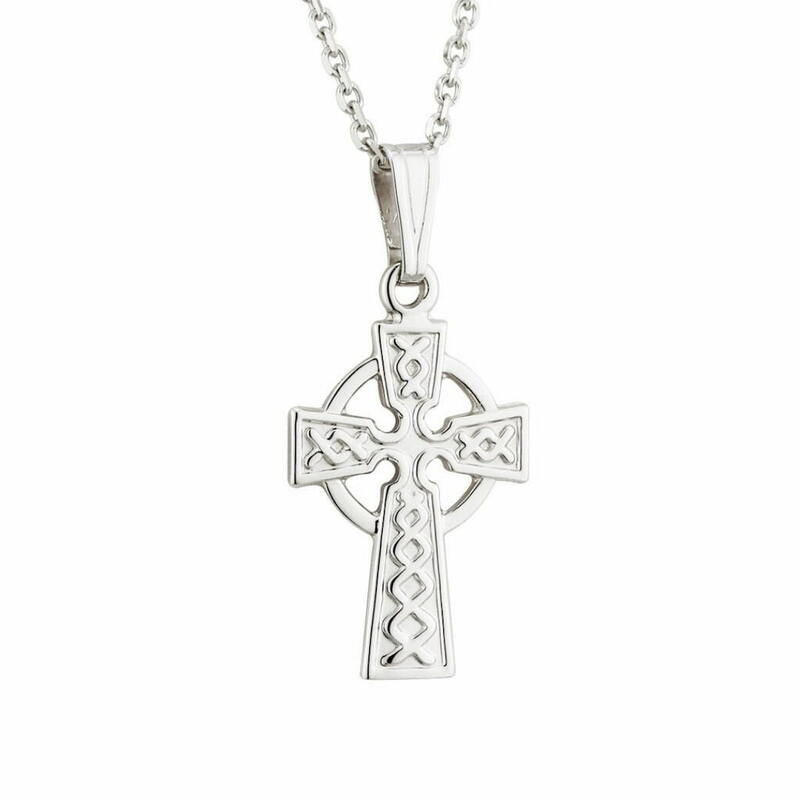 Small 14k White Gold Celtic Cross. Delicate, with wonderful detail, this cross is perfect as a communion gift. Measuring 10mm wide and 20mm high (including bale). This cross comes with or without an 18 inch white gold chain. Handmade and hallmarked in Ireland. Shop with confidence with money-back guarantee and free shipping.